For the first time in Winter Olympics history, a bobsled team from Africa has qualified to compete in the 2018 Winter Olympic games. The team consists of three women: Seun Adigun (driver), Ngozi Onwumere (brakeman), and Akuoma Omeoga (brakeman). The team has already been sponsored by VISA and Under Armour, and are set to compete in the PyeongChang 2018 Winter Olympics. 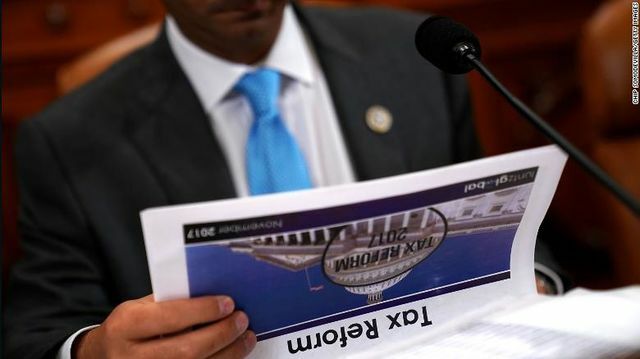 A tax reform legislation was passed by the House of Representatives with a vote of 227-205, progressing one of the items on President Donald Trump’s agenda. The bill moved upward to the Senate Finance Committee who voted 14-12 to approve it. The legislation will move to the full Senate after Thanksgiving. The legislation will ratify $1.5 trillion in tax cuts for businesses and individuals. If the bill is approved by Christmas, this will be the first successful legislation under the Trump Administration. On Thursday morning, radio news anchor Leeann Tweeden stated that Minnesota Senator Al Franken groped and kissed her without her consent in 2006, two years before Franken became a senator. Tweeden also released a photograph that reveals Senator Franken grabbing her breasts while she is asleep. Senator Franken has released a statement apologizing for his behavior in the photograph, he also claims he does not remember the forced kiss. Tweeden later stated that she did not accept his apology, nor was she looking for one. Tweeden decided to step forward and share her story after similar stories of men in power who committed sexual harassment had surfaced. On Thursday morning, the Keystone Pipeline spilled 210,000 gallons of oil in Amherst, South Dakota. The source of the leak is still under inspection, but the company that operates and owns the Keystone Pipeline, TransCanada, identified a drop in pressure Thursday morning and shut down the pipeline. On Monday November 20, the Public Service Commission in Canada is set to decide whether to accord a permit for its sister pipeline, Keystone XL. Due to the leak, critics have expressed concerns, stating that TransCanada should not be granted another permit. TransCanada believes Keystone XL will provide jobs and be good for the economy. The grand opening of the Museum of the Bible will take place on Friday, November 17, in Washington, D.C. The museum cost $500 million to build, making it the largest privately-funded museum in the city. A large part of the funding, came from Christian-based company, Hobby Lobby. Although the museum is based around the Christian faith, it is a museum created for anyone and everyone to attend. According to museum owner Steve Green, the museum was created to educate and inspire people to read the Bible.